If you want these awards, you have to fill in the form at the bottom of this page. Be sure to tell me which award you want, your name or nickname, your site name and URL, why you think your site should be awarded and your gender(hey, I don't want to this mixed up!). Be sure to make the award a link to my page. Last Sign My GuestBook. Now how hard is that? Award 1! Site Of The Week. This is the easiest to win. Award 2! M.D. Geist's Sign Of Aproval. This is the hardest to win. You need to have no brokin links and your site will need to very good to win this one. Award 3! Best Sailor Moon Site. This is another easy one a bit harder then the first. You just need a Sailor Moon page thats good. Award 4! Best DBZ Site On The Web. this one is a little harder then the 1 and 3. You need to have a Dragon Ball Site no brokin links and need to like your page. Award 5! Best Sailor Moon MIDI Page. 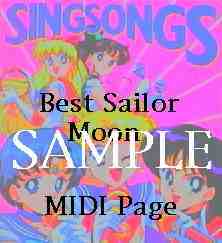 This one is easy all you need to do is have a Sailor Moon MIDI page and no brokin links. Award 6! Best BubbleGum Crisis page. Not much to say this is easy. Award 7! Great Pok�mon page Not much to say this is easy. So you want an award? Which award do you want, why do you think you deserve it? and your page name. Disciples of Zor: He won M.D. Geist's Sign of Approval. 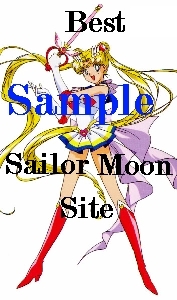 Sailor Shrine: Best SailorMoon Site. Dragon Ball Z 3:16: He won The Best Dragon Ball Z Site On The Web. 1001 Anime links: He won M.D. Geist's Sign of Approval and Site Of The Week. ODN: He won The Best Dragon Ball Z Site On The Web. 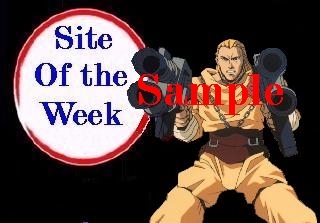 Devon's Anime realm: Won Site of the Week. SUPER 4 GOHAN'S HOME PAGE! : M.D. Geist's Sign Of Approval and Great Pok�mon page! Akanes Anime Fest. : She won Site of the Week! Anime MASTER : M.D. Geist's Sign Of Approval. The Anime Homepage. : He won Site of the Week! (Didn't give me a name.) : Won Site of the Week! Adrian's House of Horror. : Won Site of the Week! Tim's DragonBall Z. : Won Best DBZ Site & Site of the Week! SSJ Gotens DBZ Webpage : Won Best DBZ Site! DragonBall Dojo : best DBZ site award & MD Geist sign of aproval. DragonBall Z Realm : Best DBZ Site. 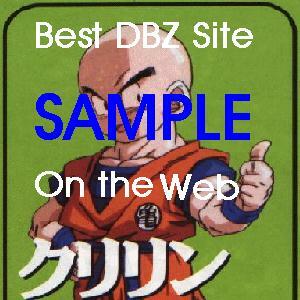 Krillin's DBZ Site : Best DBZ Site. Anime Adoption Agency : M.D. Geist's Sign of Approval. The Robotech Fanfiction Homepage. : M.D. 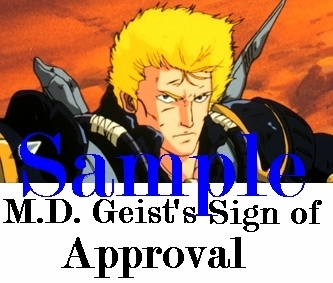 Geist's Sign of Approval.